Chamonix and the Chamonix-Mont-Blanc valley are rightly famous as a great destination for a ski holiday or summer getaway. Chamonix is widely regarded as the birthplace of modern mountaineering and is a Mecca in winter and summer for people who want to come and experience this legendary mountain territory. However Chamonix is not your traditional ski resort – it’s a real town all year round and as such Chamonix accommodation is located along bottom of the valley. If you’re not familiar with the layout of the valley it’s easy to pick the wrong accommodation for your group, meaning that you might have a long walk to the bus stop, or be far away from the nightlife, depending on what you’re looking to get out of your holiday. Booking with a local expert like Chamonix All Year means you can ensure you book the best Chamonix accommodation for you, thanks to our comprehensive website and local team who are on hand to answer all your questions before you book, ahead of your arrival and when you’re in Chamonix. Chamonix valley consists of 5 main towns / villages with smaller hamlets located in between all the way up to the Swiss border. Each of these towns or villages has a ski area close by, and many of the best Chamonix accommodation options are within easy reach of one of these ski areas. Each of these areas of the valley has its own ‘feel’ and amenities when it comes to shops, restaurants and bars. Les Houches village & ski area: Les Houches has a lovely village feel, with its own shops, bars and restaurants, plus some great après ski options like the Kitsch Inn. The ski area is varied with plenty of options for beginners and intermediates. Advanced skiers shouldn’t miss the chance to race down the Kandahar black piste which is part of the men’s ski World Cup. In summer, the pastures of Les Houches are lovely for hiking in and this area is also one of two dedicated mountain biking zones within the valley. Chamonix town & Brévent ski area: Chamonix is the main town in the valley, and offers a great choice of excellent restaurants to suit all budgets and taste-buds, as well as large supermarkets and plenty of bars for après ski and later. Brévent ski area is located just above the town centre and is easily accessed via the nursery slopes at Le Savoy. There is a wide range of slopes for all abilities, including a dedicated beginner area, plus the area is linked with Flégère (see below) so you can roam the mountain all day long. In summer, enjoy hiking and parapenting, all with unbeatable views of Mont Blanc. Les Praz village & Flégère ski area: our accommodation search feature groups together Les Praz village and the neighbouring hamlet of Les Bois. The village has a couple of bars and restaurants for you to try and is particularly walk-able to Chamonix town centre in summer along a pleasant riverside path. There is also a small grocery store for picking up essentials. Les Bois offers a more rural experience close to Les Praz. Flégère ski area has a range of slopes for all levels and is linked to Brévent too. In summer it is famous for its hiking and spectacular views. Argentière village & Les Grands Montets ski area: Argentière also has a nice buzzy feel with some bars and restaurants and a small supermarket. Les Grands Montets ski area is famous for its steep slopes and off-piste terrain, and offers skiing earlier and later in the season due to its high altitude. In summer, hike up to the glacier or try your hand at some mountaineering. Le Tour village & ski area: right at the top of the valley and bordering Switzerland, Le Tour is perfect if you’re looking to get away from it. There are cafés and restaurants open during the day in high season, but the evenings are peaceful. If you want to re-connect to civilisation, Argentière is a short drive away. The ski area offers spectacular views of the whole valley and Mont Blanc and in summer this is the second of Chamonix’s mountain biking zones. As there are so many different areas of the valley to explore, it’s important to bear in mind that in Chamonix you are very likely to want to ski a different ski area each day, so having your Chamonix accommodation at the foot of the slopes isn’t as important here as it is in other ski resorts. More important, perhaps, is having public transport nearby or parking if you’re planning on using your car to get around. So now you know the lay of the land, how do you choose your Chamonix accommodation? It’s important to think about what you’re hoping to get out of your holiday. If you’re hoping to have a garden – especially nice in summer – then you may want to look outside of Chamonix town centre as you’ll have more choice. Don’t forget though that many of our apartments also have balconies if you don’t want to compromise location or outside space. All of the Chamonix accommodation descriptions on our website also explain how close the nearest bus stops or ski lifts are – just look at the “Location” description to find this out when you’re choosing your apartment or chalet. For example, town centre properties are likely to have good transport links and may also be close to the ski lifts, whereas if you’ve decided to use your car to get around, making sure your property has parking may be the priority. 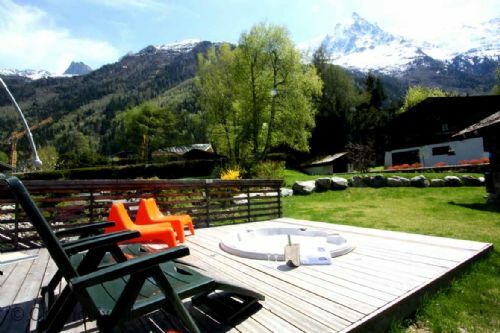 Whatever you’re looking for from your Chamonix accommodation, it’s easy to find on our website. Enter your search dates and then filter the options by your top requirements. Start your search below to find the best Chamonix accommodation for your next winter ski holiday or Chamonix summer holiday.